Samsung General Union | Stop Samsung - No More Deaths! Lee Gun-hee, Lee Jae-yong, and Choi, Gee-sung (heads of Samsung conglomerate and Samsung Electronics), do you know that two workers committed suicide from their dormitory in January this year?? 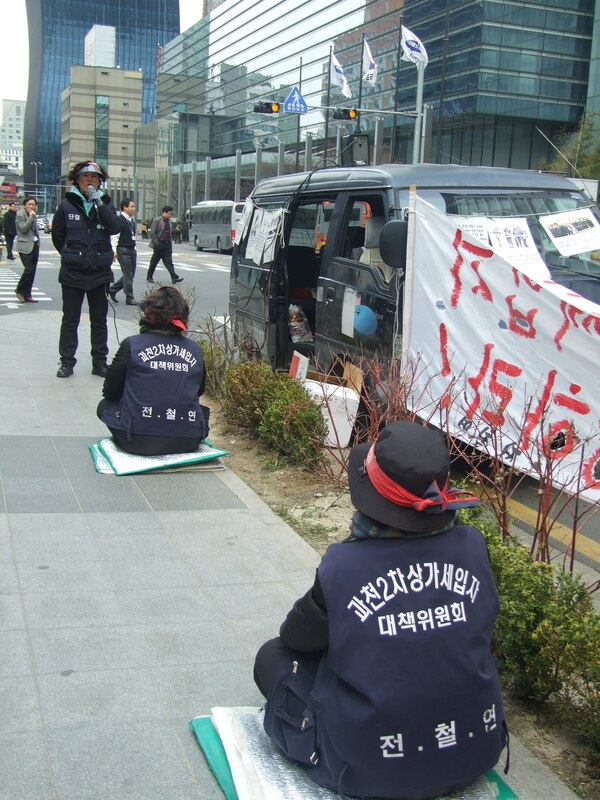 In the chill weather in the flowering season the bereaved family of Kim Joo-hyun are keeping up their protest in front of the headquarters of the company and condemning the inhumanities of the Samsung corporate dynasty. March 24 was the day come again to place where this chairman was restored to his position by the Lee Myungbak President, after his conviction. We had remembered this day and some guests join the protest. Mr Lee Kiho who had been imprisoned for one and a half years because of the Ssangyong Motors strike and ‘Orange’ who works as an activist at Dasan Human Rights Center, came to express solidarity. 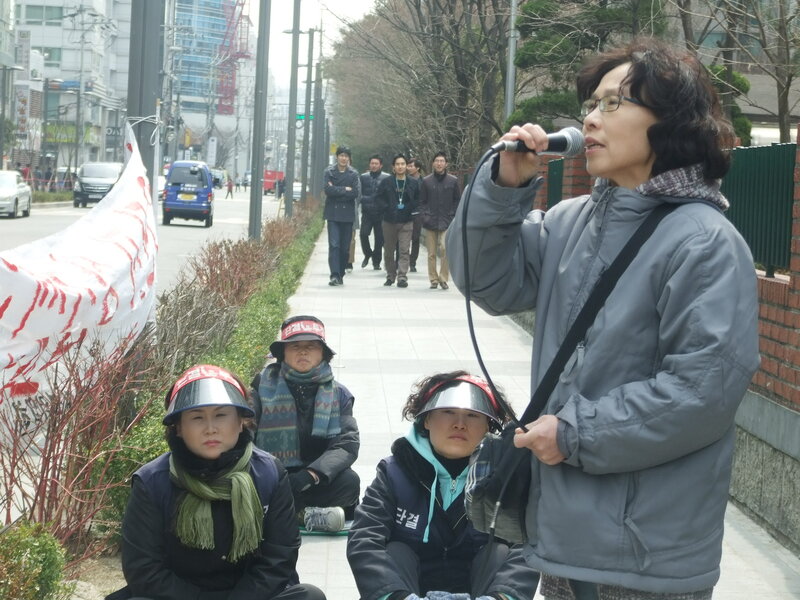 Also there was Kim Jong-tae, who was fired from Suwon Samsung Electronics because he posted on the electronic bulletin board that Samsung worker should set up a union; and the victims of the Guacheon eviction. The mother of Kim Joo-hyun said “My son had lived only 25 years. He is more precious than your whole company. It has been 73 days after he died, we want to have his funeral! ceremony. Somebody has to show the responsibility and apologize to the family!” There are many unjust deaths in Korea in this final stage of capitalism. But if the only bereaved families protest about this issue and if we do not try to make a union because we are afraid of the power of the company, there is no bright future for the democracy for all.